I’ve been really excited about fitness since I’ve decided to get fit again. I’ll hold my hands up and admit I’m not a crazed fitness fanatic. I just like exercising as a hobby and because I want to keep slim and in shape. But since it’s January and it’s been a while since I’ve been paid, joining a gym isn’t high on my priority list of spending at the moment. So I decided to venture outdoors, despite the ice cold weather here in Wales. 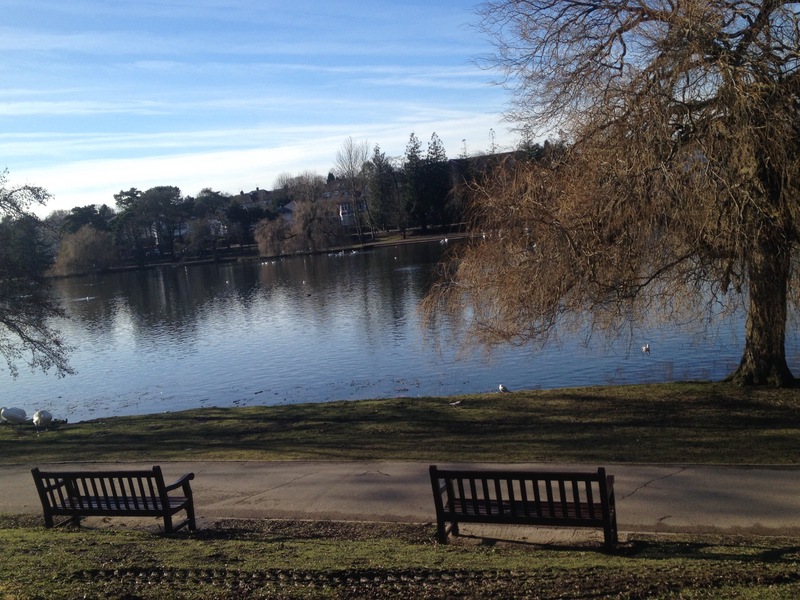 In my student house in Cardiff, we are pretty close to Roath Park lake which is actually a great place to have on your doorstep. It’s a lovely area to run around and from my house, it’s about a 3 mile run. And although this doesn’t sound like very much, this is a big achievement for me. Cardio is not my strength not matter how hard I work at it. But the fact that I almost ran 3 miles on my morning runs earlier this week makes me really happy. 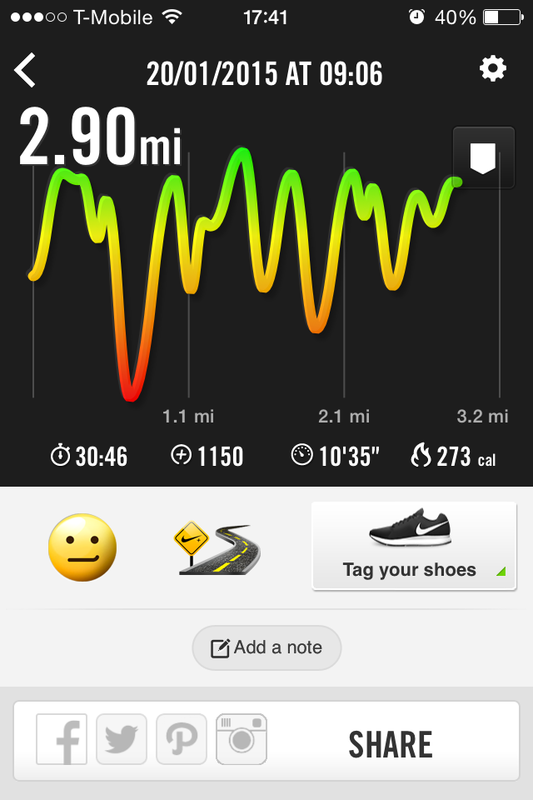 Here’s a snap of my Nike+ Running app from earlier this week. I’m so pleased, I actually feel like I’m progressing a little! 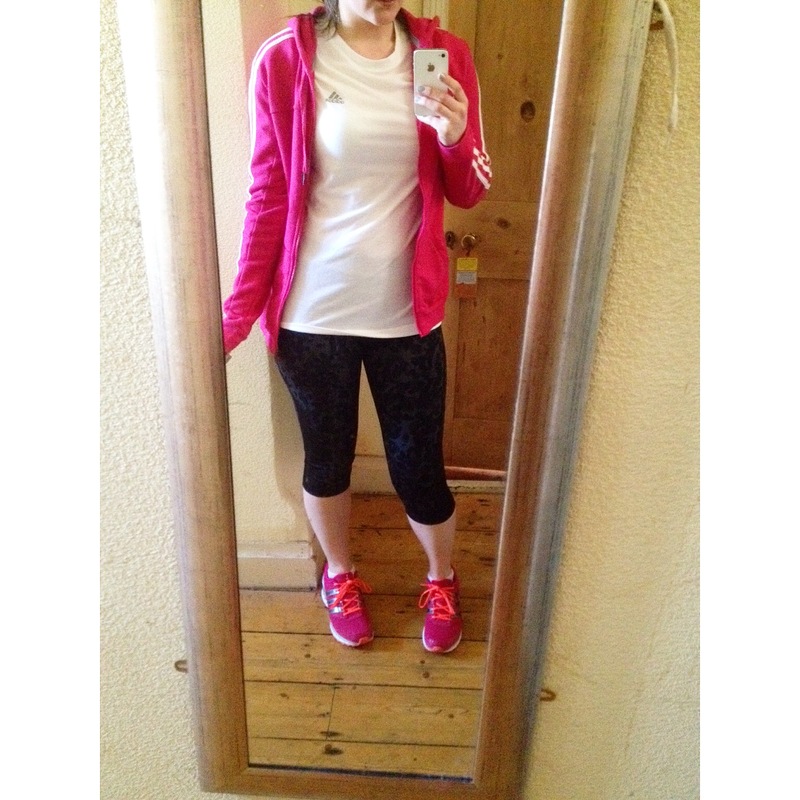 Also, before I went on my run, I managed to snap a picture of my fully kitted out Adidas exercise clothes. As you can tell from my previous posts in my fitness section, I am a big fan of Adidas! So I’m trying to keep motivated with my fitness. I’m sure I’ll put more posts up soon of my fitness routine!